Human rights lawyer, Mr . Femi Falana (SAN ), has listed 10 alleged corruption cases that can fetch the Federal Government not less than $ 74.5 bn and N 2 .5 trn if prosecuted. The lawyer said without resolving these high - profile corruption cases in which the funds were trapped , it would seem that the Federal Government was chasing shadows in its anti- graft war . Falana listed the 10 cases in a paper titled, “ Promoting Transparency and Accountability in the Recovery of Stolen Assets in Nigeria : Proposals for Reforms,” which he delivered in Lagos at a seminar organised by a human rights advocacy group , Socio- Economic Rights and Accountability Project , in collaboration with the Ford Foundation , USA. Top on the list of the cases , Falana said, was the alleged diversion of $ 20. 2bn from the Nigerian National Petroleum Corporation. He said the details of the alleged fraud were captured in reports by the National Extractive Industries Transparency Initiative covering 1999- 2012. According to him , NEITI concluded that the $ 20.2 bn fraudulently ended up in the hands of some oil companies and agencies of the Federal Government as opposed to being remitted into the Federation Account . 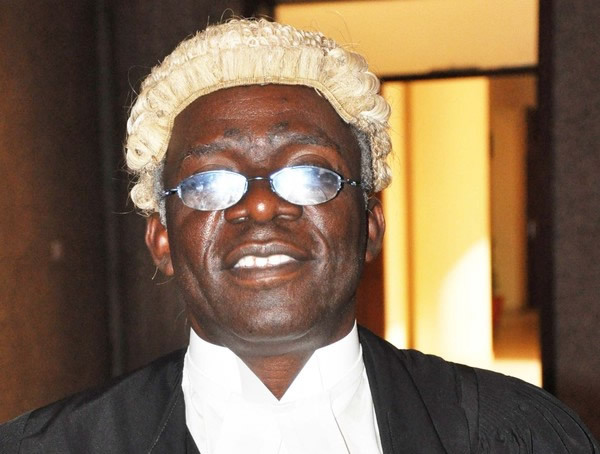 Falana said the alleged $ 20.2 bn fraud at the NNPC and nine other monumental frauds worried him enough that he had had cause to write a petition to the Economic and Financial Crimes Commission calling for the probe of the alleged frauds . “ From five cycles of independent audit reports covering 1999- 2012, the National Extractive Industries Transparency Initiative revealed that the Nigerian National Petroleum Corporation, some oil companies and certain agencies of the Federal Government have withheld $ 20. 2bn from the Federation Account . “ In 2006, the Central Bank of Nigeria removed $ 7bn from the nation ’s external reserves and placed same as deposit in 14 Nigerian banks . In 2008, the bank gave a bailout of N 600 bnn ($ 4 bn ) to the same banks . Up till now, the CBN has failed to recover the said sum of $ 11bn from the banks. According to him , the $ 1. 9 bn is the outstanding sum out of the $ 2 .5 bn which Mobil ought to pay the Federal Government for the renewal of three oil blocks . Instead of paying $ 2 .5 bn , Falana said, “ curiously , the $ 600 m paid by Mobil was accepted by the Federal Government ,” sometime in 2009. “ The office of the Accountant General should be asked to account for the recovered loot . Furthermore , the moves to recover the remaining loot of about $ 800m are being frustrated by Swiss and United States governments,” the lawyer said. He also called on the Federal Government to forthwith comply with the judgment obtained by SERAP at the Federal High Court which ordered the Federal Government to account for the spending of the recovered Abacha loot under the regimes of ex- Presidents Olusegun Obasanjo , the late Musa Yar’ Adua and Goodluck Jonathan . Falana also wants the Federal Government to take steps to recover the N2 . 5trn allegedly paid as subsidy by the Central Bank of Nigeria , to a cabal of fuel importers. “ Although the EFCC has charged some suspects to court, the whole fraud ought to be revisited as the investigation into the monumental fraud was compromised by the Jonathan administration , ” he said. He said , “ The EFCC ought to be directed to recover the $ 12. 7bn from the shipping and oil companies that carried out the fraud . Finally, the human rights lawyer said the Attorney General of the Federation , ought to recover the sum of $13. 9 bn which telecommunication company, MTN “ illegally transferred” out of Nigeria . “ The huge fund should be recovered while the economic saboteurs involved in the illicit transfer should be prosecuted,” Falana said. He also tasked the government on the quick passage of relevant laws that would aid the Federal Government in its effort to recover funds looted by corrupt public officials . He said it was regrettable that despite the existence of a treaty such as the United Nations Convention Against Corruption of 2005, some Western nations still held onto funds stolen from Nigeria and kept in their banks . He flayed the United States of America and Switzerland particularly for maintaining a puritanical stance to frustrate Federal Government ’s effort to recover the funds stolen and kept in the country by Abacha . “ The government of the United States has filed copious objections to the suit filed by Nigeria in Jersey for the recovery of over $ 3 oom of the Abacha loot . The gravamen of the objection is that the fund be released to the United States to manage on behalf of Nigeria . “ In the same vein, Switzerland has insisted that the sum of $ 321 m of the Abacha loot would not be repatriated to Nigeria unless the World Bank would be allowed to monitor the disbursement of the fund . “ Such patronising attitudes of western governments cannot be justified having regard to the fact that they had connived with a few unpatriotic Nigerian public officials in the grand looting of the treasury of Nigeria ,” Falana said.